If you need a professional brochure, flyer, sell sheets, or even a catalog or book for your products - we do it all! Small quantities and quick turns are a cinch for our digital press. Banners, adhesive prints, flags, large posters or mounted rigid signs, and canvas prints. Trade shows, comunity events & lobby displays. 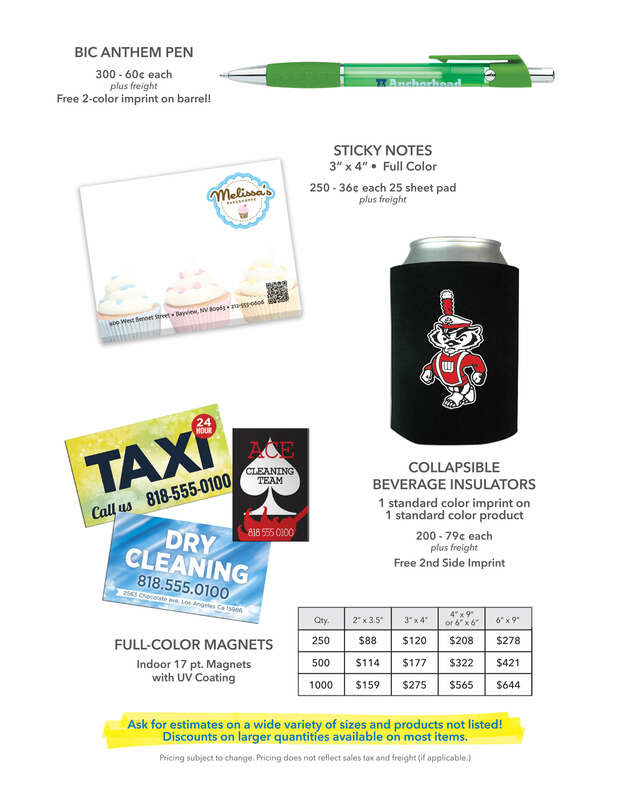 a great way to advertise your business or event! Pens, bags, mugs, cups, water bottles, thousands of items. ©2018 Mitchell Printing All Rights Reserved.